To those of you that live in Europe, you are most likely aware of the Nintendo online stores in your region. You may not necessarily use them but know that they are there. They don’t have an expansive range like the Nintendo US or Nintendo UK online stores but they do have a number of products and merchandise that you can only purchase from them. Well, Nintendo have been busy rebranding their online stores as “My Nintendo Stores” and the My Nintendo rewards program has had new rewards added that you can use with My Nintendo Stores. 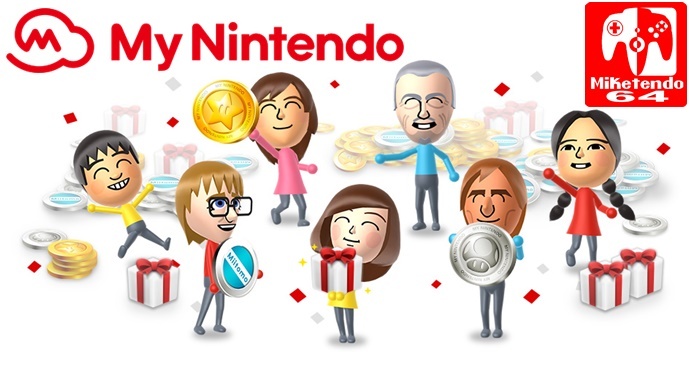 My Nintendo now has special vouchers that you can redeem with gold points. These vouchers come in 1€, 3€ and 5€ and will cost 100, 300 and 500 depending on the voucher. The vouchers can then be used singularly on My Nintendo Store purchases of a minimum of 20€. This does not include shipping costs so your actual purchase has to be 20€ or over with shipping on top. You can’t combine vouchers either on purchases so if you have a few vouchers, you will have to use them on separate purchases. If you live in Europe and would like to redeem some vouchers, you can find them on the My Nintendo website.